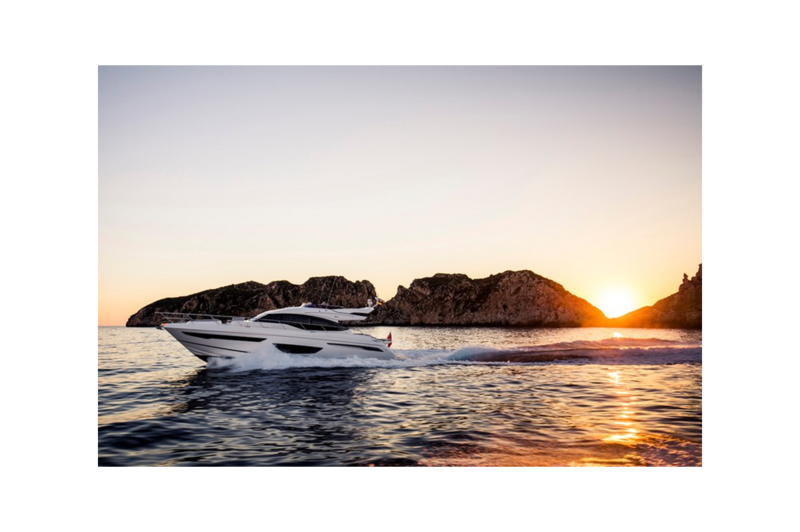 There is an undeniable presence about the S65. 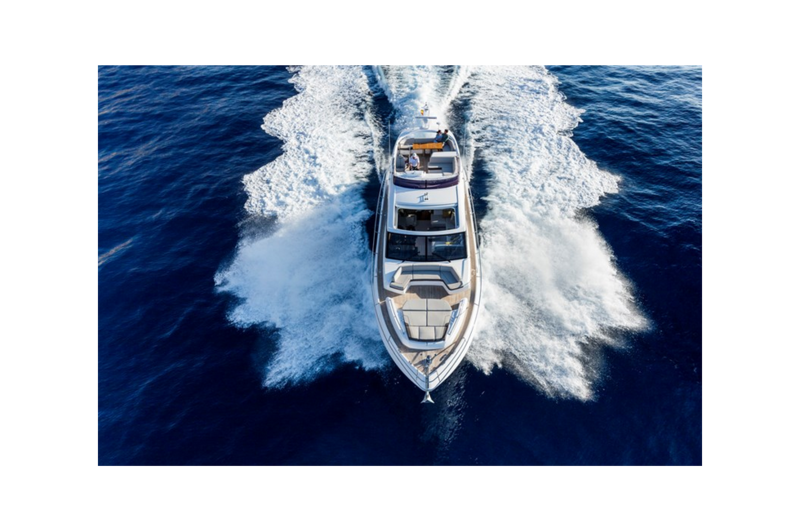 Her slender streamlined form somehow also exudes a predatory air. 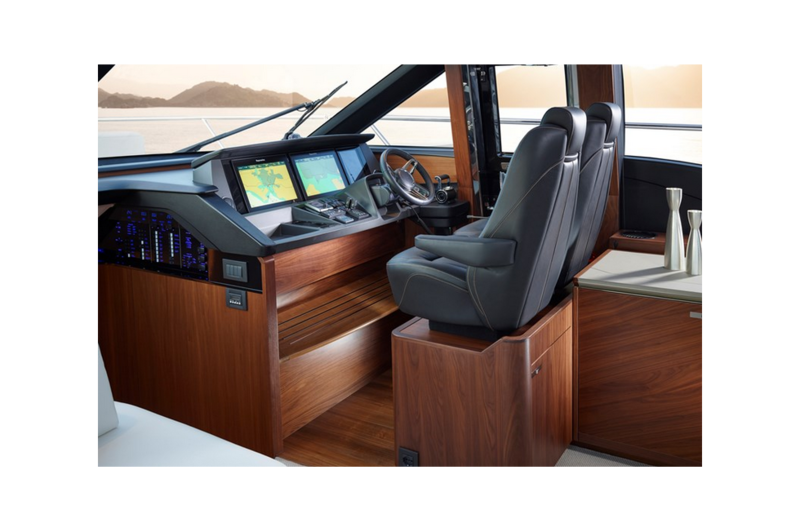 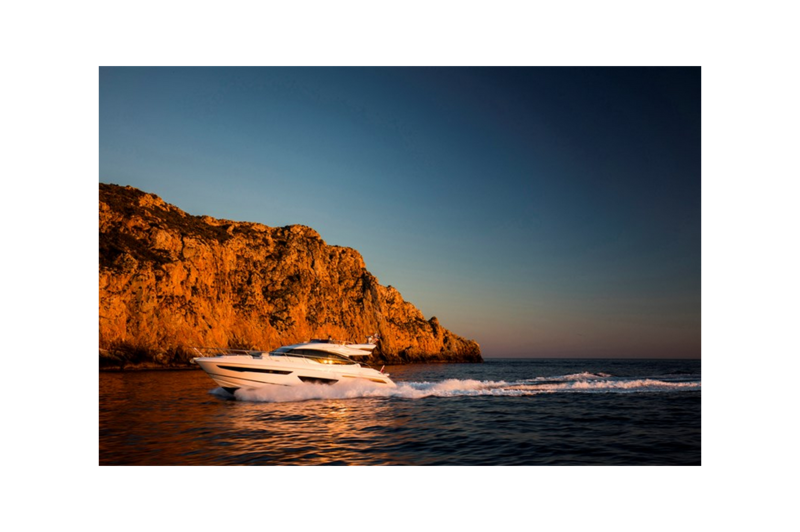 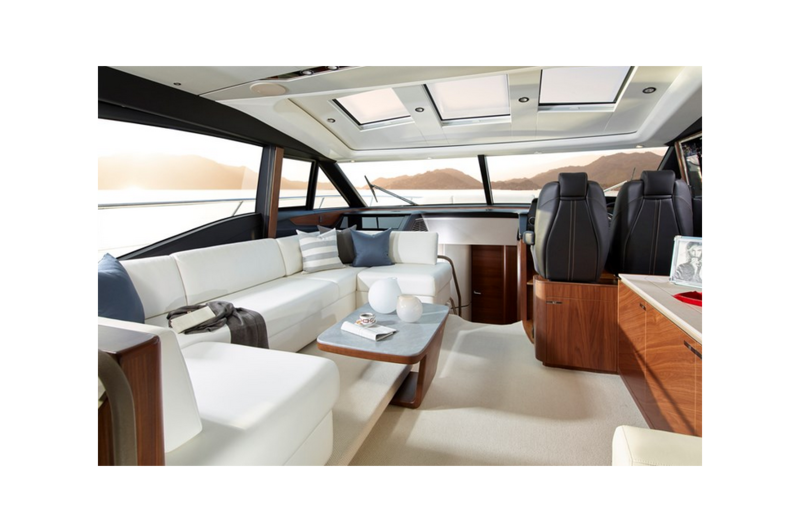 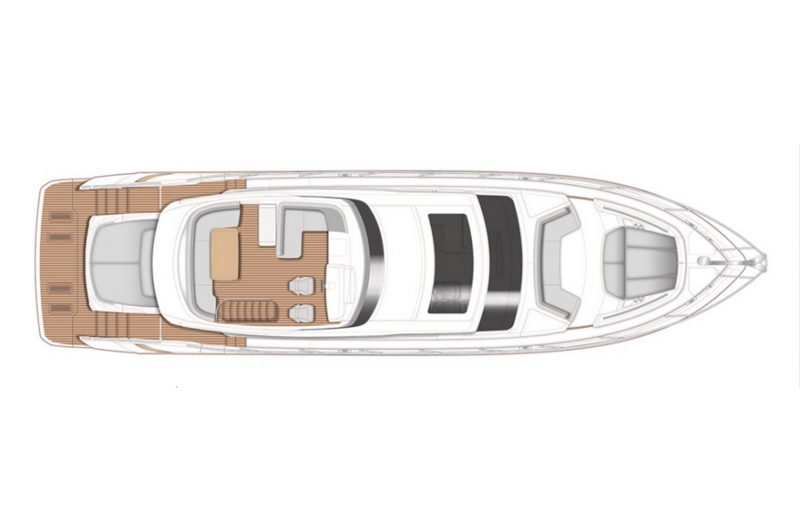 A lightweight deep-V hull delivers on this promise with breath-taking agility up to 38 knots. 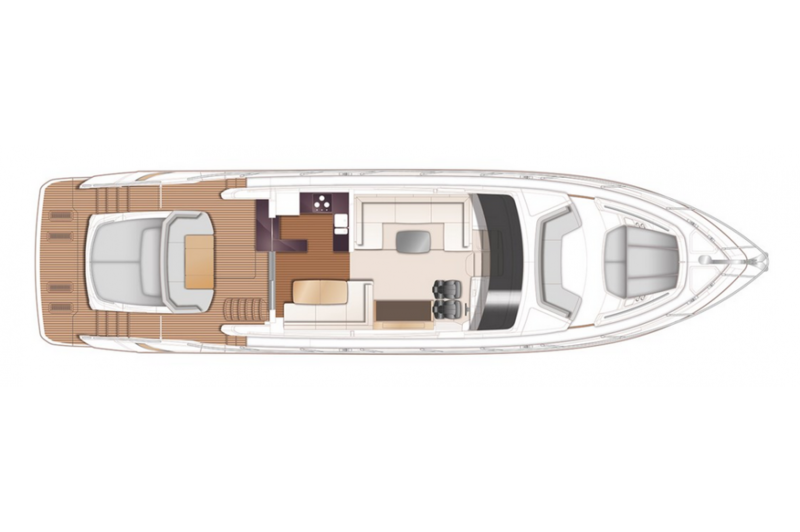 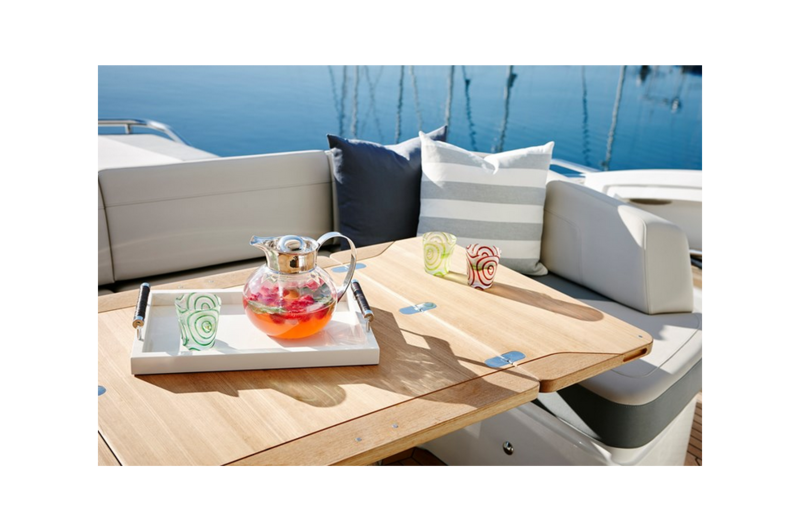 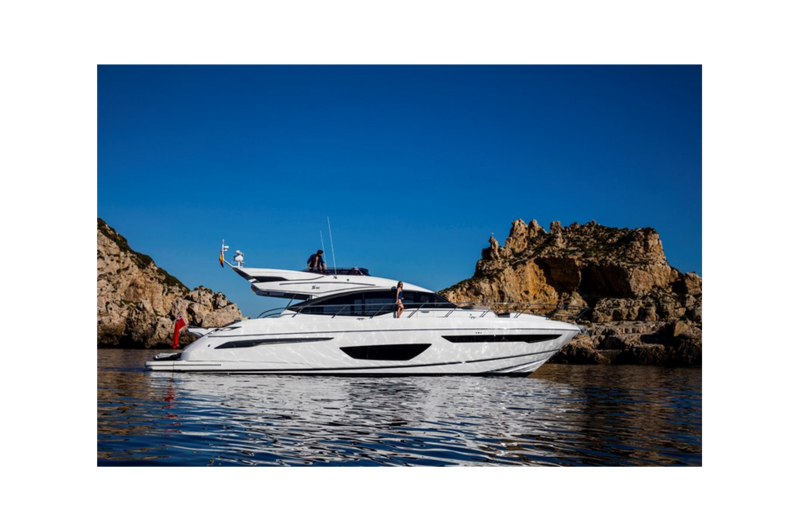 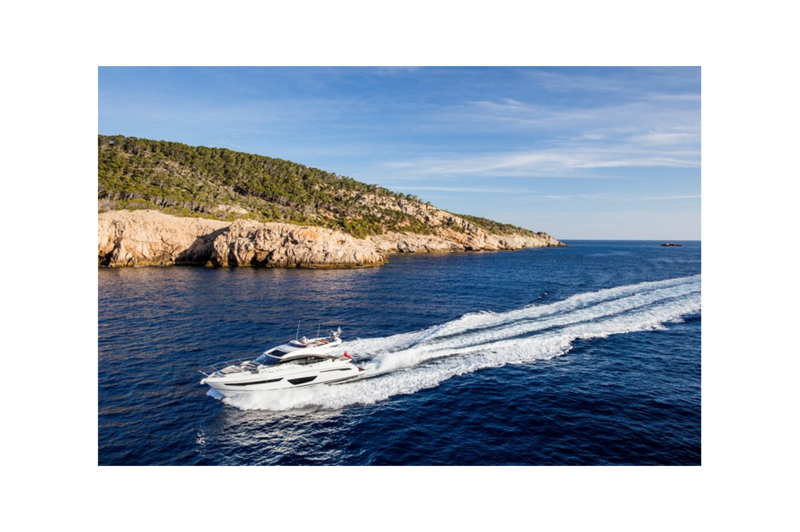 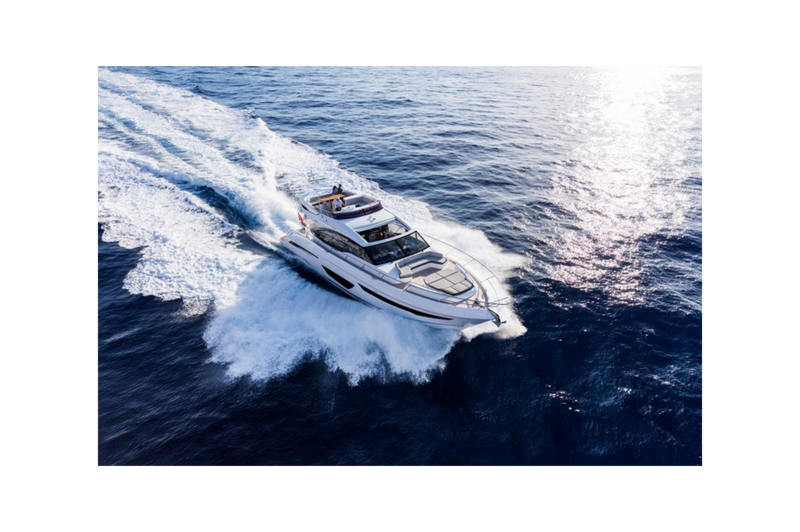 When at anchor, peacefulness descends onto her generously appointed deck areas, which include a spacious foredeck seating area, whilst her hydraulic bathing platform and 3.3m tender garage become the perfect base for watersports. 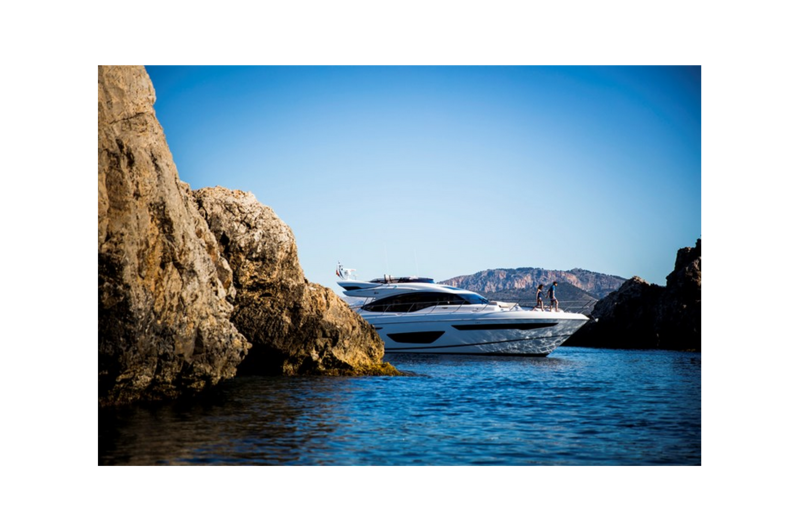 Captivating on the outside, she is distinctively cool inside. 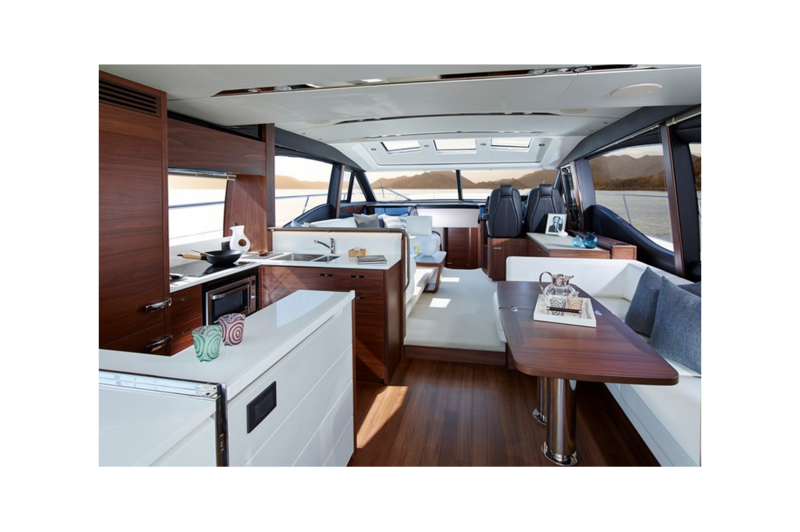 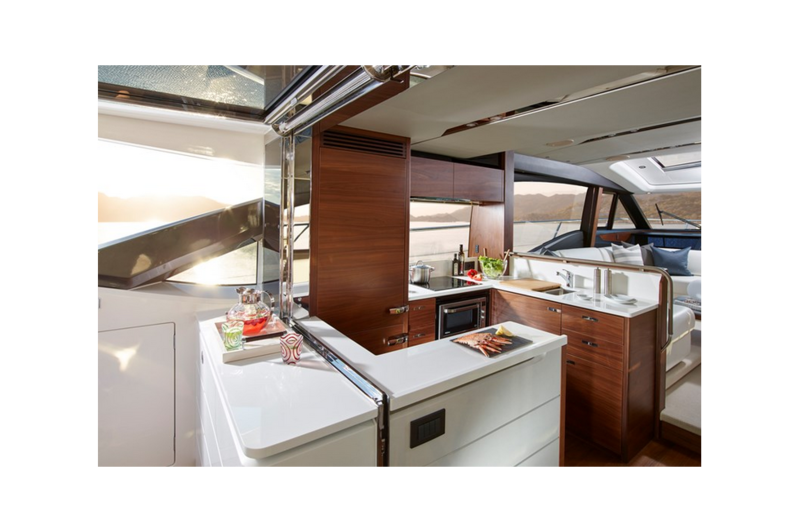 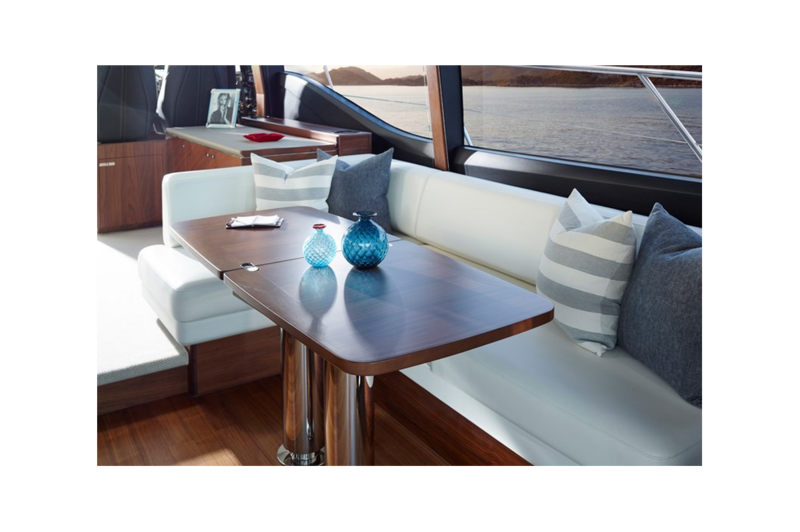 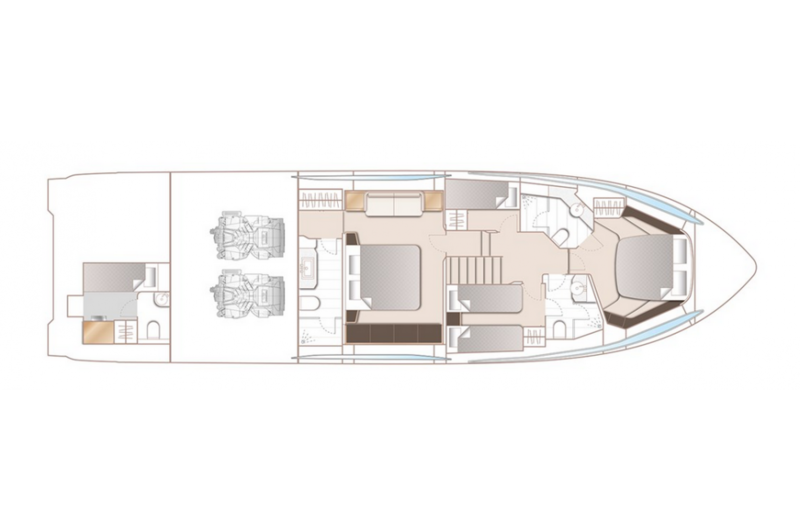 Her sociable galley aft arrangement, with opposing open-plan dining area, has sliding doors and a fully opening electric window leading out to the cockpit to create an al fresco bar. 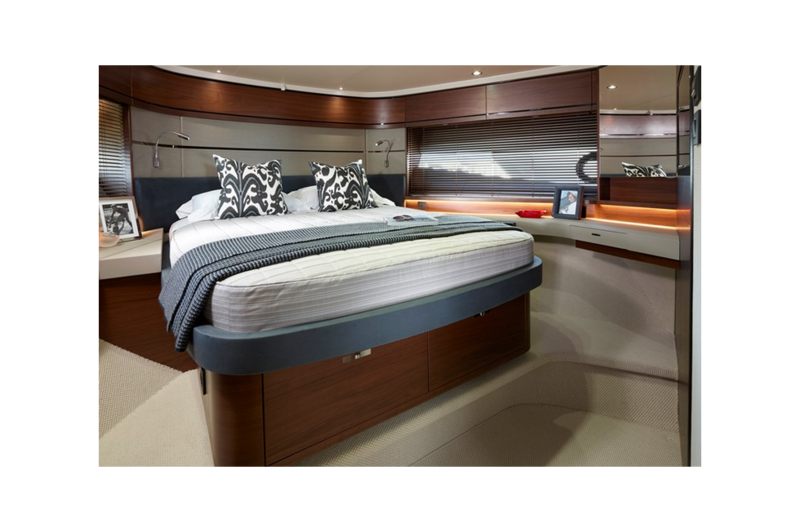 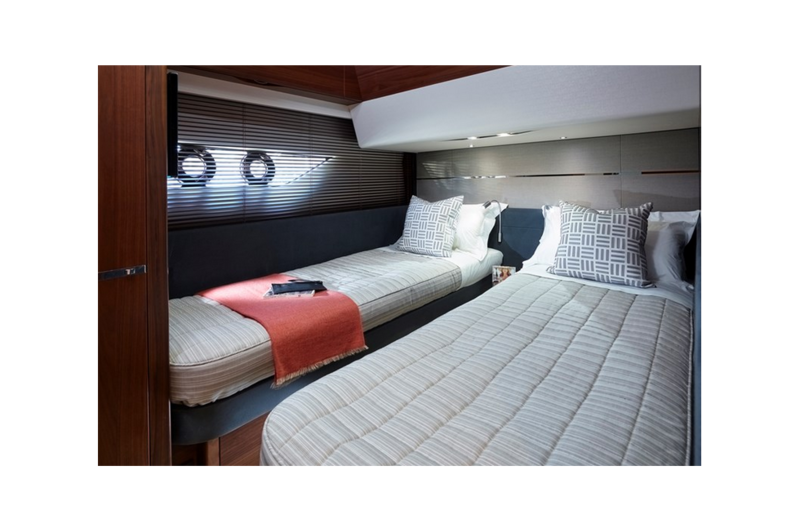 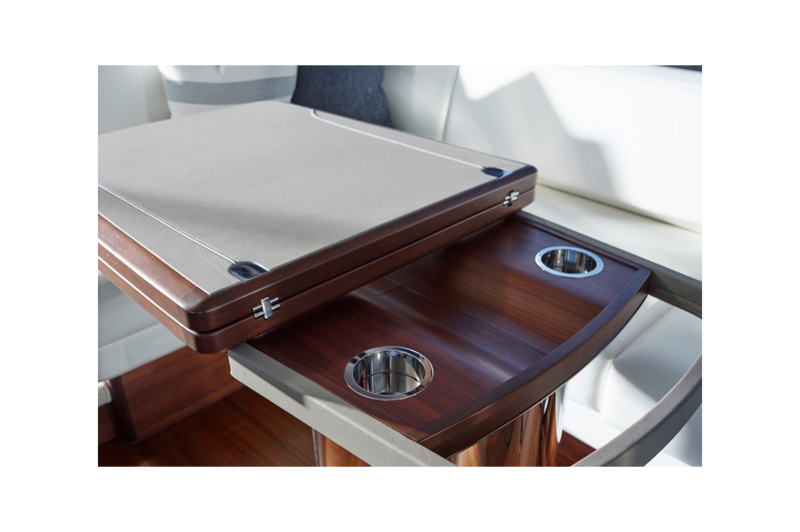 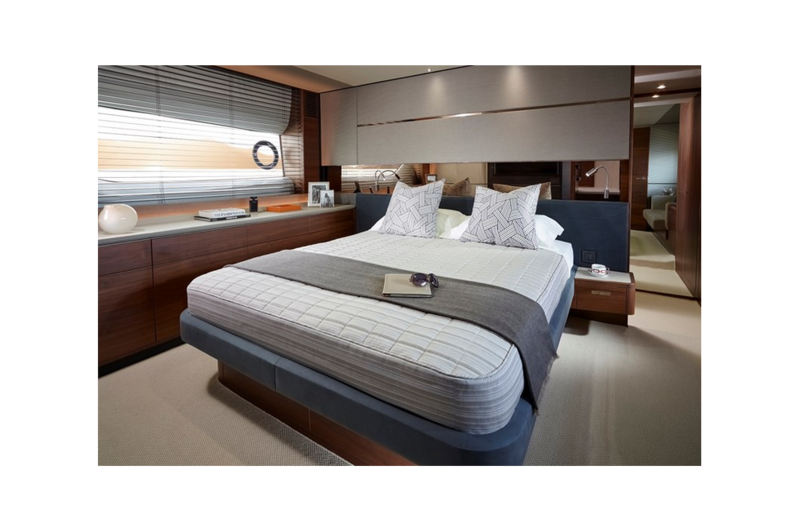 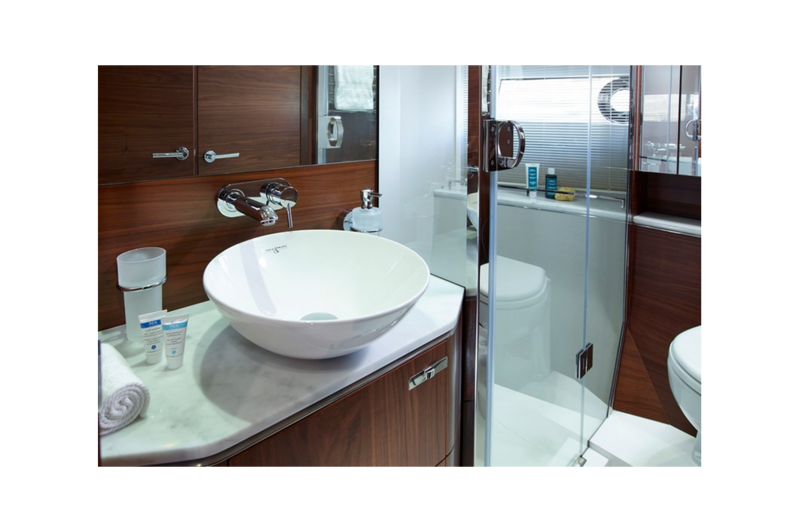 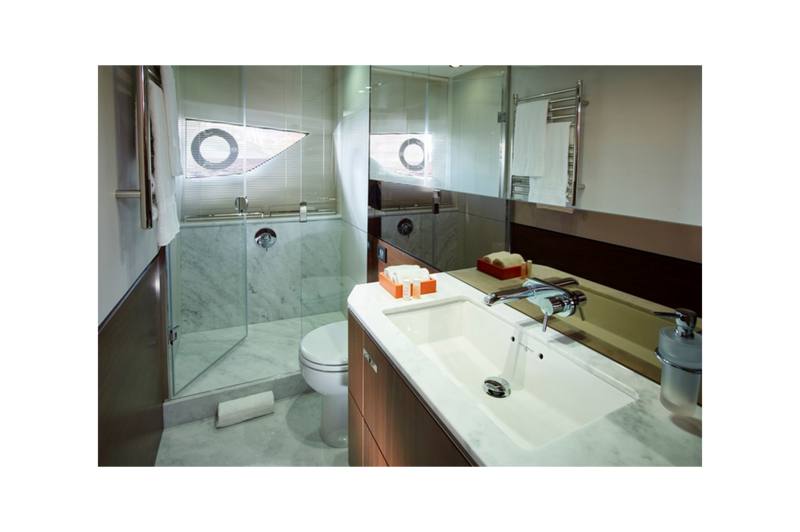 Below deck eight guests are accommodated across four cabins, three of which are en suite.